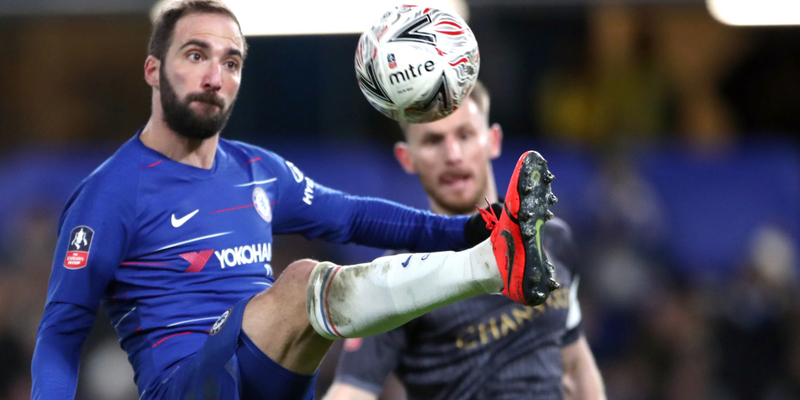 Gonzalo Higuain made his debut and Willian scored twice as Chelsea eased into the fifth round of the FA Cup. Here’s how we rated each Blues player in the 3-0 win over Sheffield Wednesday. A really quiet evening for Kepa Arrizabalaga’s understudy, who had very little to do. Easily held an early effort from Adam Reech. Won a penalty for the Blues after his dart into the box was ended when the studs of former Chelsea man Sam Hutchinson were planted into his foot. As sound as ever. Respectfully watchful of Wednesday striker Steven Fletcher. This felt like easy street for the German. Not too troubled, and claimed an assist with a delightful ball over the top which paved the way for Callum Hudson-Odoi’s strike on 64 minutes. A routine evening’s work. Had Willian to do most of the forward run now that he is not expected to carry the workload of a wing-back. Did still get forward to fizz in one dangerous cross. Not afraid to chance his arm from distance early on, and really enjoyed himself in his third cup start of the season. Great last-ditch tackle on Joey Pelupessy rightly recognised as such when an initial penalty award against him was overturned by VAR. A few nice floats and chips found Higuain in the box and a few more passes picked out overlappers. A decent and effective night for him. His passes in and around the penalty area did not quite do the damage Chelsea were looking for. Strong on the ball but lacking that incisive element in his game. Made way for Jorginho towards the end. Cool as you like in dispatching the 26th-minute penalty which set Maurizio Sarri’s men on their way to the fifth round and finished a one-two with Olivier Giroud with a beautiful strike to make it 3-0. Wednesday doubled up defenders to try and shackle him, but a brilliant Brazilian’s shimmy summed up his class. The want-away winger came in for some rough treatment early on, getting clattered several times by Wednesday defenders, but had the last laugh with a fine cut inside and finish to make it 2-0. Played with greater freedom as the night wore on. A spin and shot across the six-yard box which went narrowly wide served up an early sign that Chelsea can hope to carry to carry a greater threat at number nine in the second half of the season. Had a glancing header that flew just wide. A decent, if unspectacular start for the Argentinian. Replaced Ampadu just past the hour to stiffen up the midfield. Not that Wednesday threatened to mount anything resembling a comeback. Really nice lay-off to Willian set up goal number three on 83 minutes and he almost crowned a happy cameo with a spectacular goal of his own, attempting an overhead kick from Jorginho’s floated pass.